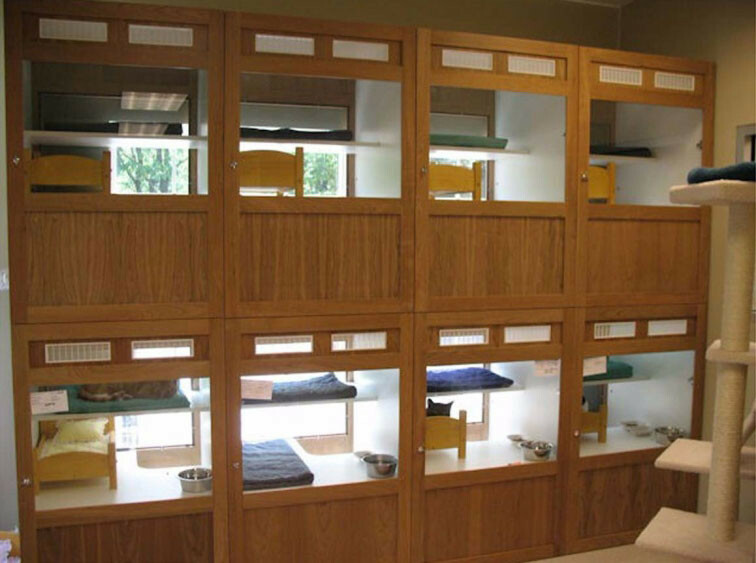 Looking for a comfortable, convenient and attractive option for boarding cats at your veterinary clinic, grooming business, pet store or other operation? Check out the great range of options available from The Cat’s Inn. 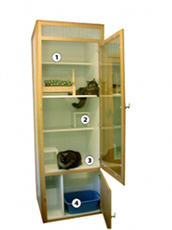 Offering attractive stackable cat townhouses and standalone towers, The Cat’s Inn’s line of healthy and safe alternatives to cages are durable and capable of handling all of your needs. 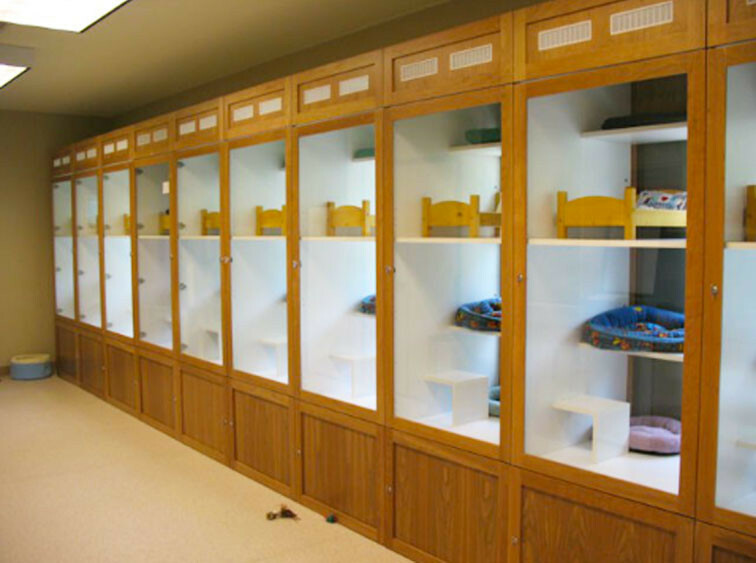 Whether you have an occasional need to board cats or are a pet breeder dealing with dozens of kittens, these townhouses provide all of the comforts and amenities needed to keep cats comfortable and content. Available with a range of options to suit any application, each townhouse is available in a wide range of attractive colors, as well. Most importantly, the odor-proof melamine construction is incredibly easy to clean, and cannot be scratched by anxious kittens. Plus, as it’s a nonporous material, it won’t absorb odors or liquids, making it the perfect choice for housing your cats. Each unit also includes our patented ventilation system, which helps minimize odors and keeps airborne diseases from spreading. 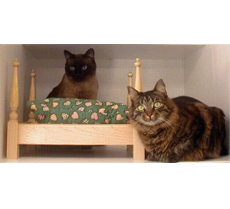 The townhouses also offer a secluded area for cats’ litter boxes as well as storage of toys, food and extra litter. 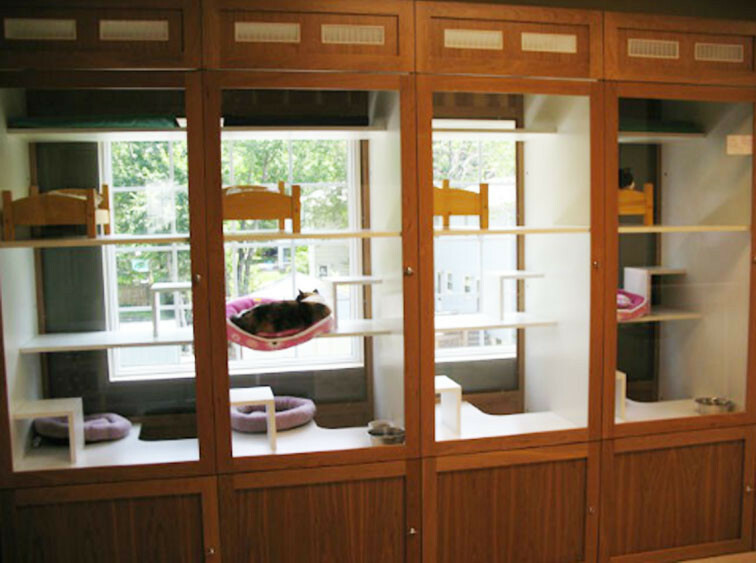 Options also include full glass back panels, giving your cats a clearer view of their surroundings, as well as pass-through doors to allow free movement between units when arranged side by side. 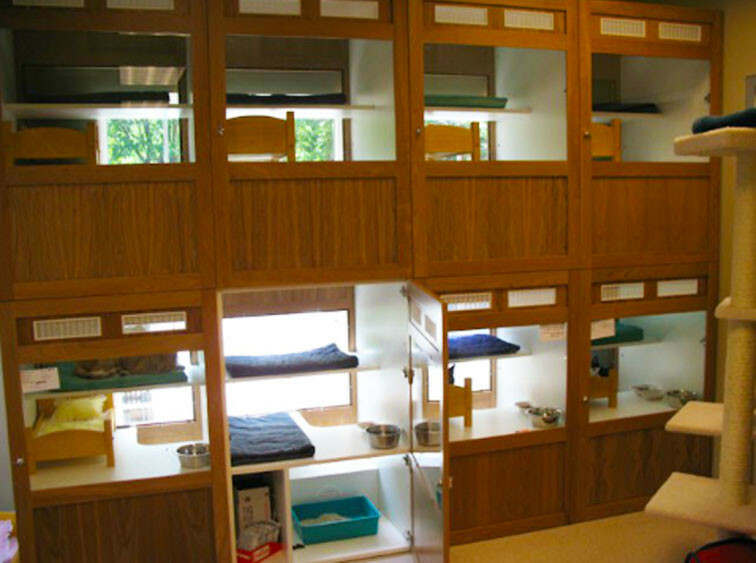 Backed by a five-year warranty on all components, the cat townhouses from The Cat’s Inn are exactly the solution you need for temporary boarding at hotels, humane shelters, grooming facilities and much more. Available with wood and melamine, medex, or hardwood exteriors – in 70 colors to match any décor – they’re sure to be a valuable and attractive asset to any business. Check out our options online now, or give The Cat’s Inn a call today at 877-228-7466 to learn more.